I was very excited when I stumbled upon the CASE study 4th Anniversary blog hop and challenge. 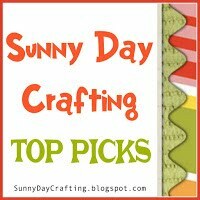 I was so inspired by all the lovely creations I saw while completing the blog hop and commenting. I decided to play along and CASE this card from Julee Tillman over at Poetic Artistry. 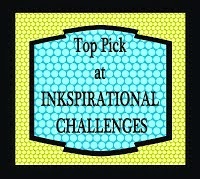 I was inspired by a number of elements in Julee's card. 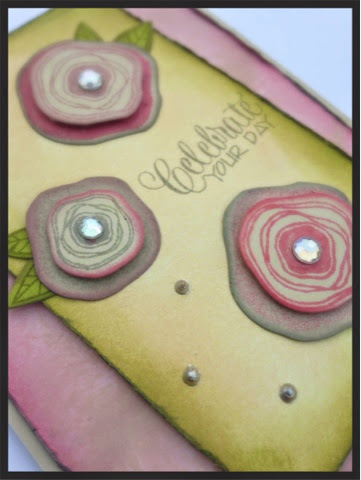 First, the colors and soft grungy-ness look of the card. Second, I liked the skewed panel in the front as well. 4 1/4 x 5 1/2 which I scored and folded from the top. 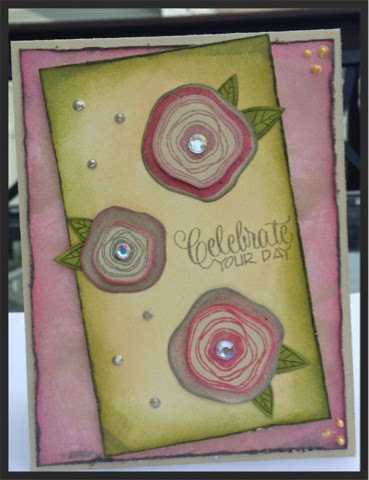 I then added some liquid pearls for embellishments, and sequins to the center of the flowers. Finally, I added a bit of sparkle to the flowers with my wink of Stella pen. 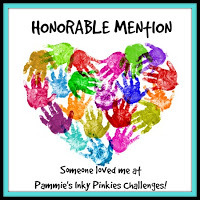 I also decided to enter this card into the Diva Dare Challenge over at Verve where they are showcasing cards that celebrate! Thanks for stopping by and visiting me today. Have a great evening and I'll see you again soon! 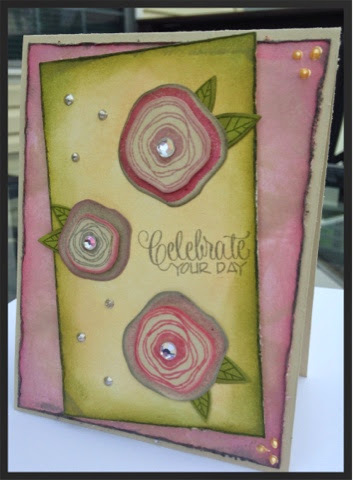 What an absolutely beautiful card you've created, Dori! Wow! 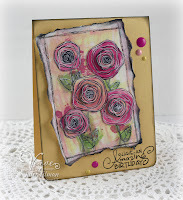 You cased Julee's card fabulously. Beautiful poppies and love the scatter of sequins/glitter. Thanks for joining us for this month's Diva Dare. So soft and pretty! Thanks for playing along with CASE Study! This is really amazing. Thanks for joining case study. Beautiful Dori! 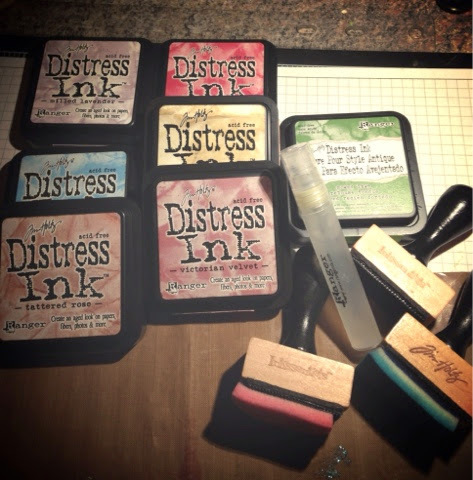 I love the soft colors you got with the distress ink - you really made it all yours! So pretty! Love the sponging and scattered bits of bling. What a lovely eye for color. The combination is wonderful - it's soft and sweet. Great job. 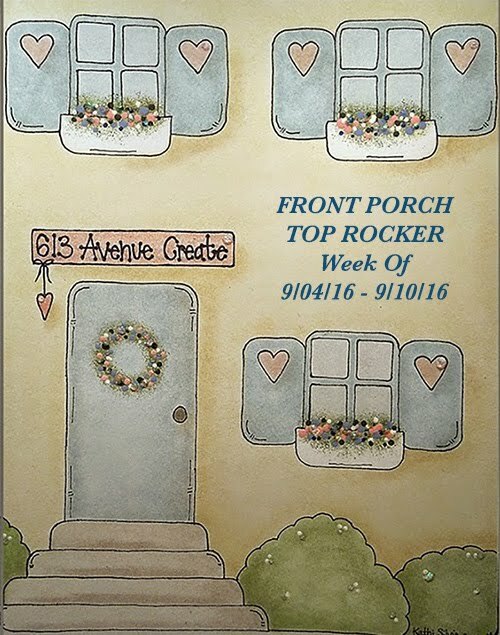 Thank you for joining ScrapbookerPhD's challenge.